Columbia, Mo. 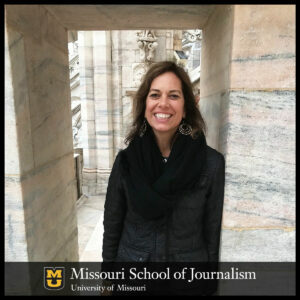 (April 9, 2019) — The Missouri School of Journalism will welcome journalist and author Lisa Palmer on Thursday, April 25 at 6 p.m. in Fisher Auditorium, 88 Gannett Hall on the University of Missouri Columbia campus. The visit is part of the Smith/Patterson Science Journalism Fellowship and Lecture Series, a joint initiative of the Pulitzer Center Campus Consortium and the Missouri School of Journalism. The lecture is free and open to the public. Journalist and author Lisa Palmer will speak at 6 p.m. in Fisher Auditorium, 88 Gannett Hall on the University of Missouri Columbia campus. Palmer’s lecture, part of the Smith/Patterson Science Journalism Lecture Series, is free and open to the public. Palmer is the author of Hot, Hungry Planet: The Fight to Stop a Global Food Crisis in the Face of Climate Change. In the book she explores the future of food security through seven case studies located in six regions around the world: India, sub-Saharan Africa, the United States, Latin America, the Middle East, and Indonesia. Through these examples, Palmer looks at how the global population boom (expected to reach 9.7 billion people by 2050), climate change, and the widening socioeconomic divide will make feeding the world challenging. Following Palmer’s talk, Hiles will host a discussion panel featuring Mary Hendrickson and Corinne Valdivia of MU’s College of Agriculture, Food and Natural Resources. 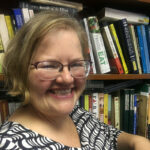 Hendrickson is a rural sociologist whose passion is making the world a better place through food. She is an assistant professor, serves as undergraduate adviser chair in sustainable agriculture, and teaches courses on sustainable food and farming systems. 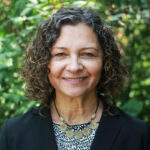 Valdivia is the D. Howard Doane Professor of Agricultural and Applied Economics and directs the interdisciplinary International Development graduate minor. She studies how people adapt to globalization, migration, and climate change in South America, East Africa, and the U.S. rural Midwest. To help support local food security, there will be a collection of donations for Tiger Pantry, which serves as an auxiliary of the Central and Northeast Missouri Food Bank, providing assistance to anyone affiliated with the university, including students, faculty and staff. Attendees to the lecture are encouraged to donate five canned goods, $5, or an MU meal plan swipe. The Smith/Patterson Science Journalism Fellowship and Lecture Series was established in 2008 by Missouri alumnus Russell G. Smith II and his wife, Gail, to honor Joyce Patterson, Smith’s former professor and mentor. Patterson was a faculty member from 1965 to 1989 at the Missouri School of Journalism, where she was credited by her peers with inventing the modern approach to teaching science writing. In 2017, the Journalism School established a partnership with the Pulitzer Center to enhance the school’s emphasis on science, health and environmental journalism. Founded in 2006, the Pulitzer Center supports journalism on underreported stories around the globe, including issues such as the impact of climate change, environmental contamination from gold mining, and road traffic as a public health threat.